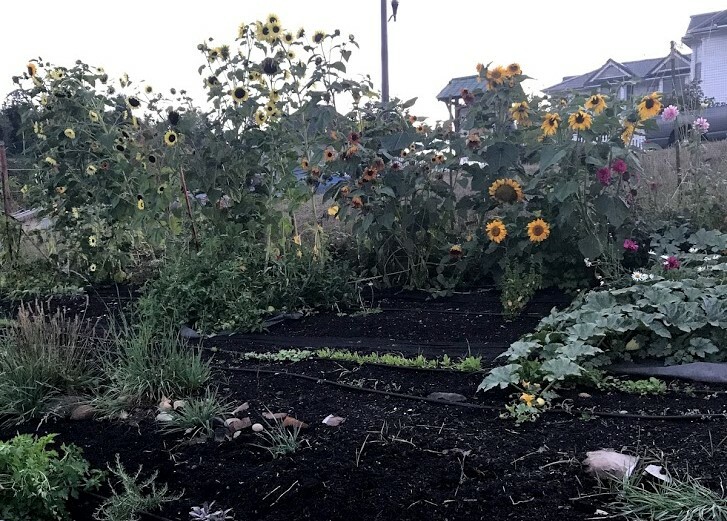 On September 12th 2018 at 6pm Eatonville citizens had the pleasure of learning how to put their garden to bed from Irene Bensinger, courtesy of the Mountain Community Garden. 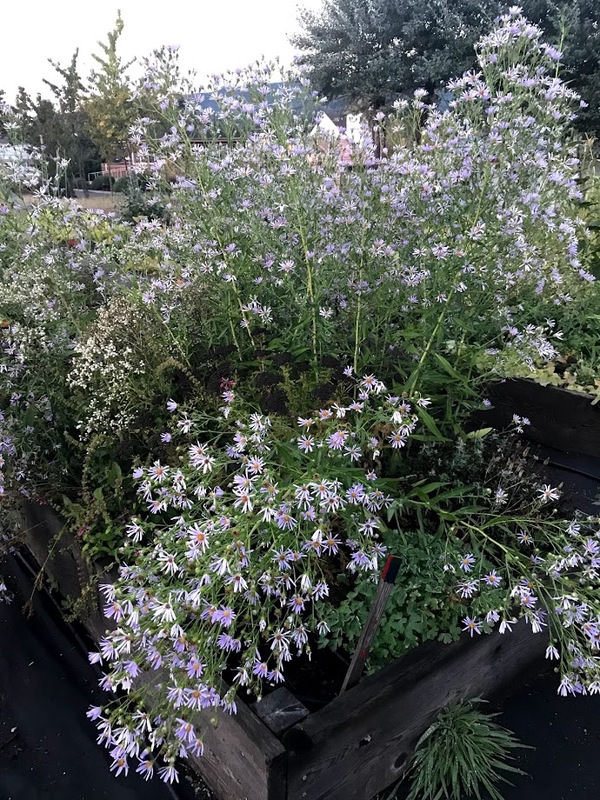 Irene and Toby Bensinger know a thing or two about gardening in high altitude locations, such as Eatonville with an altitude of 801 feet. To put that in perspective, Puyallup’s altitude is only 46 feet. I will attempt to summarize Bensinger’s instructions, to the best of my ability. When it comes to putting your garden to bed there are many things to consider. The first is, have all of your plants completed their production? If the answer is no there are steps you can take to quicken their ripening and production before the cold weather rolls in. First- remove any flowers, stems and leaves that don’t yet have a crop attached. Stop watering the plant. Lastly, you can place a floating row crop cover or mulch cloth over the plant to protect it from the rain and keep it warm. Also, if the crop is beginning to ripen you can pick it and it will continue to ripen the rest of the way. Now that you’ve finished harvesting your crop, the next thing to consider before putting your garden to bed is will you gather seeds to plant next year? If you are planning to harvest seeds you’ll want to make sure the plant is not a hybrid, and that you can indeed identify the plant. Hybrids tend to cross pollinate and therefore can leave you with a surprise next planting season. You’ll want to be sure the plant came from a seed that is of the non-hybrid/open pollinated/heirloom variety. The next thing to know about seed gathering depends on the seeds. Things like beans and lettuce, spinach or other leafy greens, etc. can be cut and hung to dry, then depending on the plant put the remains through a sifter to separate the seed from the plant or for a bean simply remove the seed. If you’re collecting tomato seeds cut open a very ,very ripe tomato and scrape out the guts, then put that in a glass water and cover with a paper towel. In a couple days the membrane surrounding the seed will separate, put the contents of the glass through a fine strainer and pick out the seeds. Place them on wax paper to dry, not a paper towel. The reason for this is the seeds have small hairs and could attach and get stuck to the paper towel. Then store in a dry container, label it with the seed type and date. Always keep the seeds dry so they don’t begin to germinate. If you have any weeds in your garden, remove the seeds from the plant and discard., either in the garbage or in your fireplace or wood stove. Cut the weed at the base of the plant and put in your compost bin. Although your leaving the roots of the weed, since the seeds were removed it shouldn’t reproduce and the roots will decompose and add organic matter to the soil. To learn more about this process Bensinger suggested reading Roots Demystified by Robert Kourik. Cut all the plants at the base and discard on top of the soil. The main goal of preparing the garden for winter is don’t leave bare soil. The rain will compact the soil and wash away important minerals and nutrients such as nitrogen. You can cover with newspaper or a paper bag If it’s a dry day wet the paper down so it doesn’t blow away. Let’s talk cover crops. They’re great for the soil and when you till them in next spring they will add necessary nutrients to the soil. This can be especially beneficial for raised beds. Some ideas for cover crops are: clover, vetch, fava beans, bell beans, winter rye, buckwheat grass or really any left over seeds you might have. Bensinger says next spring she will till in most of the cover crop, but for larger plants like sweet clover she leaves one on each end of the garden to use their flowers to attract pollinators. Speaking of pollinators, some plants like spinach, kale, parsnips and cauliflower for example can be left all winter long. The flowering from the seeds in the spring will attract bees, butterflies and others. Keep the flowerings on these plants for a bit after you plant next spring, eventually cut them back so they produce more crop. Another great way to cover your garden is to clean out your chicken coop and put the remains on top of the garden. This adds all sort of great nutrients from their manure and the pine shavings or hay, whatever might be in the coop will be great for insulating the garden. If you don’t have a coop another option is chopped up leaves from your lawn mower bag. You can even use burlap. The most important take away- don’t leave bare soil. The Mountain Community Garden is run on donations and volunteerism. 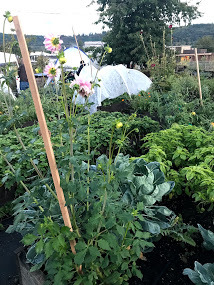 To learn more visit their Facebook page, website: https://www.mountaincommunitygarden.org/ or call 360-832-3868.